The following information has been compiled and verified as correct at the time of printing. It lists the many organizations that have been approached by and have been informed as to the network of transgendered support groups and information available to them. The following organisations marked R+ have genuinely taken an interest in understand transgendered peoples’ needs. 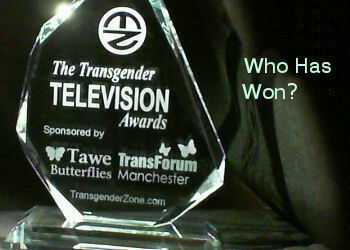 Supports Research into Residential and Community Care of Transgendered people. WOBS (Women of the Beaumont Society) Offers support and advice to partners of transvestites and transsexuals. Helplines – South: 01223 441246 & 020 8274 9243. Central & Wales: 01684 578281; Scotland: 01389 380 389. TransLiving, PO BOX 3, Basildon, Essex. Tel: 01268 583761. TV/TS Helpline: 0161 274 3705. (Wed & Thurs 7pm to 10pm). GENDYS NETWORK, BM Gendys, London WC1N 3XX. East – TV/TS Group c/o Edinburgh Gay Switchboard. North – Grampian Gender group. Tel: 01224 633108 (9am to 8pm). Crosslynx – Tel: 0141 332 333 (Mon. 7.30 to 9.30pm). PRESS FOR CHANGE: BM Network London WC1N 3XX. In emergencies ONLY ring: 0161-432 1915. GIRES: Gender Identity Research and Education Society: Melverley, The Warren, Ashstead, Surrey, KT21 2SP. Support and information for children and teenagers who are trying to cope with gender identity issues and their families and carers. Please send SAE for further information. FTM NETWORK: BM NETWORK, London WC1N 3XX. Umbrella body which co-ordinates the activities of organisations serving the Indian Community. Helps individuals and families, particularly Asian with alcohol and drug related problems. Advice for Greek and Cypriot community on family, social, legal and other welfare problems. UK’s largest Anglo-Jewish Charity specialising in the welfare of the Jewish Community. Provides residential/ nursing home care and has a number of specialist mental health units. Offers advice and conselling for parent whose children are in hospital or receiving medical treatment at home. Provides Community-based care. Fostering and adoption, family support, residential and day care. Emphasis on helping the family as a whole. Information and advice line for professionals and parents caring for children with disabilities or special needs. Locally based self-help groups for parents and national groups for specific conditions, rare syndromes and genetic conditions. Tel: 020-7226 2033, Fax: 020-7226 2537; Website: www.nchafc.org.uk Runs 271 projects providing community-based services for children, family mediation services. A fellowship of relative and friends of people involved in the abuse of mind altering substances, or with related behavioural problems, groups throughout the UK. The largest national voluntary organisation helping those with drink, drugs and mental health problems. Advice and support for people with communication problems following a stroke, head injury or other neurological cause. Network of local groups. Represents children and young people with speech and language impairments. AFASIC organises activity weeks for children and young people. Provides advice, support and information to carers. Provides information, in-house training courses, and publications. Mentally Handicapped Children and Adults, Royal Society for (MENCAP) 123 Golden Lane, London EC1Y ORT. National organisation offering support and practical help to people with learning disabilities and their families. Youthline: 01603 765050 (up to 18 rears of age. Weekdays, 4 – 6 pm) Recorded Information Service: 0906 3020012; Website: www.edauk.com For help with anorexia and bulimia nervosa. UK-wide Network of local self-help and support groups, postal and telephone contacts. Provides a wide range of community-based services for adults with mental health needs and their carers. MindInfoline (London): 020-8522 1728; (Outside London): 08457 660 163 Offers support for people in mental distress, and their families. Maintains a network of local groups and organises conferences and training. Have developed a booklet on Understanding Gender Dysphoria. Referrals from hospital by medical or social work staff and encourages people to play an active part in the community. Provides a range of housing and care for people with mental health and addiction problems. Vocational rehabilitation, training and work experience. Training and Consultancy Services for mental health professionals. Schizophrenia Fellowship, National 28 Castle Street, Kingston-upon-Thames, Surrey KT1 1SS. Voluntary organisation providing support for people with severe mental illness, their families and carers. Provides support for over 9,000 people a week in England, Wales and N. Ireland through 280 Community Care projects. A network of local volunteer-led societies providing housing with support for older people. Sheltered and registered residential homes. The National Council on Ageing, brings together 100 national organisations in the UK. Over 250,000 volunteers. Part of the UK’s leading independent health care organisation, with over 200 care homes in the UK. Aims to enable people of British and Irish nationality (professional or similar background to stay in their own homes. Runs 13 residential and nursing homes. Runs 12 residential nursing homes; can offer financial help for the elderly in cases of need. Senior Line: 0800 650065 (call free Mon-Fri, 10 a.m. to 4 p.m.) Works to improve the quality of life for older people in the UK and internationally. Government Benefits helpline for older people to assist and encourage them to claim their entitlements. Cares for over 2000 people in 37 residential homes, two specialist homes for people with dementia. Manages 28 sheltered housing schemes. Provides guidance on retirement planning, employment concerns, finance, housing, health and leisure. Advises patients who feel something has gone wrong with their treatment. Advises solicitors if legal action is possible. Information and support via helpline and newsletter for people with inflammation of the spinal cord. Rehabilitation, long/short term nursing and orthopaedic surgery for joint replacement. Osteoporosis screening. Sports injuries. Supports people with spinal cord injury. 101540. info@backcare.org.uk; website: www.backcare.org.uk Information and network of branches nationwide. Provides information and counselling to people with cancer and their families. Has an equal opportunities policy to ensure that no job applicant, paid or unpaid worker or service user is discriminated against or treated less favourably. Individual treatment based on the Bobath approach, for adults with acquired neurological conditions caused for example by strokes or head injuries. Medical rehabilitation for people from 16-35. Holiday/short day care for children/adults and families with special needs. Also childcare/daycare and leaving care assessments. (Bernie Gardiner, pleased for us to use details and be involved R+, 26 4 2000). Medical advice and nursing care, breast prosthesis fitting service. Tel: 01382 204446; fax: 01382 206771; e-mail: bbs@brittlebone.org Freephone Helpline: 08000 28 24 59; Website: www.brittlebone.org Advice, encouragement and practical help for the treatment of osteogenesis imperfecta. Provides information, support and counselling. Supports services by trained carer nurses in outpatients’ departments. Networking facility for group members, support and training. Support, advice, help. Purpose built short-stay homes and home based support services and financial help. Provides respite care to carers, through a network of care attendant schemes nationwide. 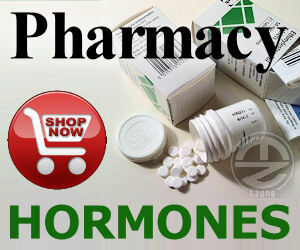 Offers help and support to diabetics and their families. Information technology training for adults with a physical, sensory or hidden disability. housing, legislation, leisure, transport and mobility. Specialist residential care, training, employment with a variety of wheelchair friendly holiday accommodation in the UK and abroad. Offers permanent residential support for adults with physical disabilities or autism, rehabilitation for brain injured clients. Outreach service when needed. Counselling, support and information for people of all ages who have been disfigured. Advice and information to children, parents and professionals on nocturnal enuresis or bed wetting and day-time wetting. Provides advice, information and counselling. National network of Local groups, advice and information. Financial assistance grants. Arranges holidays for young people. Self-help support network for alopecia patients, including alopecia areata and alopecia androgenetica. Offers information, advice and financial help with wigs. Promotes understanding of all aspects of head injuries. Support, services and information. A worldwide network of resources. Information on hospice planning. Run by kidney patients. Supports kidney patients and their families. Provides a range of support services for people with physical and learning disabilities, and support for carers, both in the UK and throughout the world. Services include: residential accommodation, home support, independent and semi-independent housing, respite and rehabilitation programmes. Financial and holiday support for sufferers and their families. Offers support, information and advice for people with MND. Equipment loan and financial assistance. Tel: 020-7610 7171; fax: 020-7736 9861; e-mail: info@mssociety.org.uk Freephone Helpline: 0808 800 8000; website: www.info@mssociety.org.uk Welfare and support services to sufferers and their families, branches nationwide, publications available. Supports adults and children suffering from this and other muscle wasting diseases. Counselling, information and equipment grants available. Provides information and support nationwide. Clubs and holidays to bring disabled and able-bodied people together. Unit A, Eagle Office Centre, The Runway, South Ruislip, Middlesex HA4 6SE. Tel: 020-8842 4999; fax: 020-8842 0555. Supports people who have a disability caused through polio. Network of branches nationwide. Provides advice and financial support if approaches to statutory agencies have been unsuccessful. Queen Elizabeth’s Foundation for Disabled People. Umbrella organisation for Mobility Centre, Banstead and Brain Injury Rehabilitation Centre, Banstead Place – see separate entries. Services include: schools, residential care, advice, information and support and related disabilities for people with cerebral palsy and related disabilities. Network of local teams and field workers. Information, financial and welfare support. Provides literature, counselling and literature. Information, advice and direct house to stroke sufferers. The Urostomy Association of Great Britain and Ireland, is a registered charity (270600) and was formed to assist people who are about to undergo, or who have undergone surgery resulting in a urinary diversion of any kind. Eg Urostomy, Mitrofanoff, Orthoptic bladder and supra-pubic catheter. Formed in 1971, UA has local branches around the UK and Ireland. Full and associate membership is available, for a small annual subscription. Members receive “The UA Journal”, 3 times a year, which includes articles, letters, and information on appliances and their supply.Various other information leaflets, videos and advice are available. Information and advice about this condition. Holidays and respite care for physically disabled people both in purpose built centres in the UK and abroad. Special weeks for people with Alzheimer’s disease, and other dementias, and their carers. Crossroads Women’s Centre, 230a Kentish Town Road, London NW5 2AB Tel: 020-7482 2496 (voice or minicom); fax: 020-7209 4761; mail to: PO Box 287, London NW6 5QU; centre open Tues and Weds, 12-4 p.m. Thurs 5-7 p.m.
Multi-racial network of women with visible and invisible disabilities (such as epilepsy) Support and information. Information and advice service for blind and partially sighted people. Holidays, residential homes, nursing homes, sheltered accommodation and independent flats. Advice and support on all issues that affect blind and partially sighted people. Campaign for rights and an improved quality of life. Tel: 020-7296 8000 (voice), 020-7296 8001 (text); fax: 020-7296 8199 Offers support, advice and residential services. Information and training. Provides sheltered housing with care for the elderly. Provides Support and information for people caring for relatives and friends at home. Encourages carers to recognise their own needs and develop appropriate support. Church Army Headquaters, Independence Road, Blackheath, London SE3 9LG. Tel: 020-8318 1226; fax: 020-8318 5258 Trains evangelistic officers in social, drug abuse, homeless matters, outreach work. Provides hostels. Tel: 020-7833 2181; fax: 020-7833 4371. Helps deprived families in need of a holiday. One weeks holiday funded referrals from health authorities, probation services, social services or other statutory organisations. emotional problems. Services for disabled people and their families. National network of self-help groups for one-parent families. Provides advice, information and support. Campaigns for improvement in hospital discharge planning, social and after-care once discharged. Provides a voluntary welcome home service in Birmingham and Salisbury areas. Provides financial assistance to the elderly in need. Helpline providing advice and guidance on NHS services and to those concerned about their health. Provides a comprehensive information service for one-parent families. Phillips House, Crescent Road, Tunbridge Wells, Kent TN1 2PL Independent health care provision throughout the UK. Impartial care to people in crises, in their homes, community, nationally and internationally in peaces and war. Counselling and psych-sexual therapy for individuals or couples experiencing relationship difficulties. International religious and social welfare movement, provides basic needs and counselling. Network of 24-hour befriending to those in crisis. Campaigns on behalf of the homeless or badly housed people. Housing Aid Centres Nationwide. Tel: 0121-622 3911; fax: 0121-622 4860; e-mail: BASW@basw.demon.co.uk Professional association, campaigns and defends the ethics of social work. Provides confidential support and advice. Can supply information about national voluntary organisations. Free legal advice. Ansaphone when advice line not open. Key UK agency for women and children suffering domestic violence. Educates women on breast and cervical cancer screening. Provides education and emotional support. Network of Providers who specialise in voluntary assistance to those in need of care in their local community. Independent Tribunals Service Office of the President of Social Security, Medical, Disability and Vaccine Damage Appeals Tribunals The President’s Office, 4th Floor, Whittington House, 19-30 Alfred Place, London WC1E 7LW. Tel: 020-7814 6500; fax: 020-7814 6540. Tribunal assistance for England, Scotland and Wales. Independent organisation, campaigning and advice on low pay. Adviceline for those with debt problems – mortgage, council tax etc. Voluntary organisations offers advice for those experiencing difficulties with occupational pensions. 0800 0281111 (advice and encouragement for older people to claim their entitlements). Provides domiciliary respite for carers of older people. Assessment through social services or health care Staff. Supports sufferers, raises funds for research. Offers training for education and employment to enable people with physical disabilities to live as independently as possible. Offers support to enable people with physical disabilities to remain in the community. Supports carers. Tel: 02891 814455; fax: 02891 812112. Provides respite to carers through a network of care attendant schemes. Information and advice on alcohol issues. Network of 28 agencies. Education, information and tuition for adults with physical and/ or sensory disabilities. Request for inclusion in The Open University resources guide – R+ On implementing their new course ‘Care, Welfare and Community’.